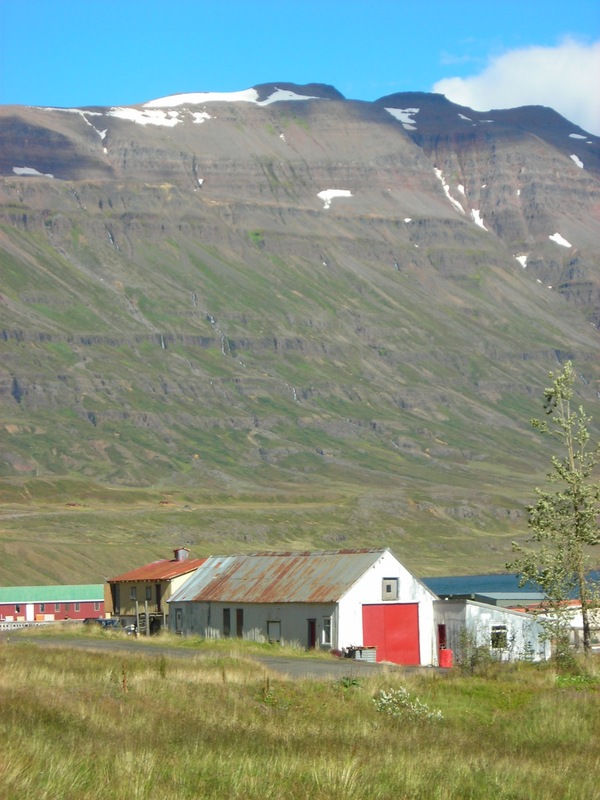 I’m shacked up in East Iceland, for a two-month residency at the Skaftfell Center for Visual Art. It’s just about the most beautiful place I’ve ever been, in a small town called Seydisfjördur tucked in to the fjord and surrounded by mountains, and filled with friendly folk. 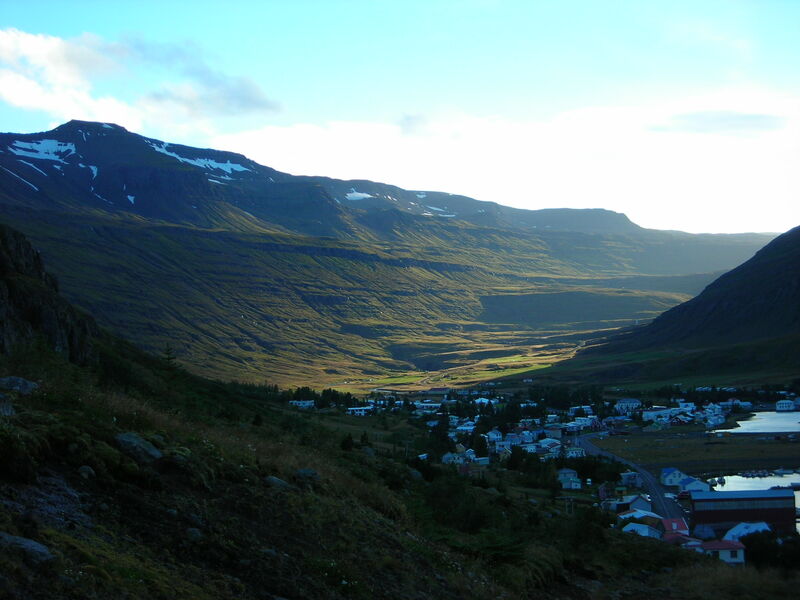 The shift was a bit of a shock, to fly from my southwest neighbourhood of Pilsen in Chicago (rambunctious urban living in a full summer heatwave) to this northern sparsely populated place whose green defies the name ‘Iceland’. 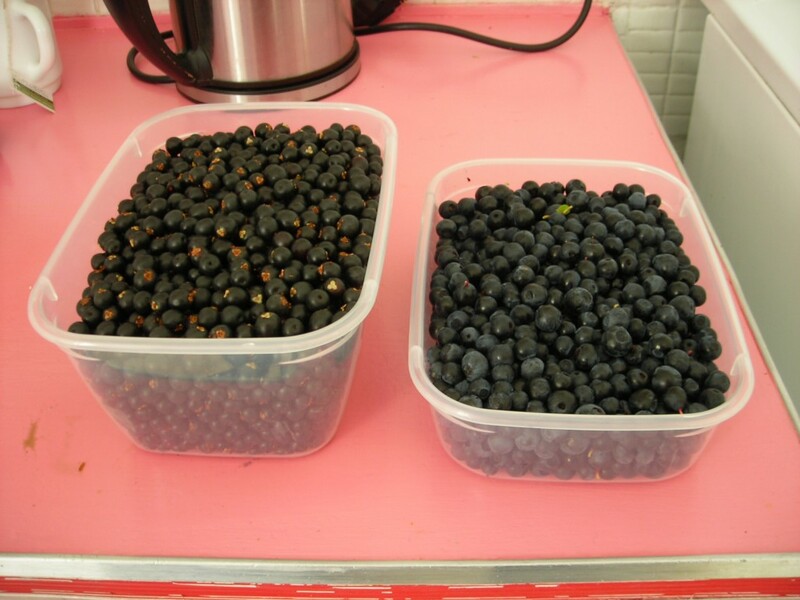 It’s already dipping below freezing at night, but there are blueberries, bilberries, and crowberries on the hill for the picking. Enjoying some Russian and Romanian shortwave radio too. 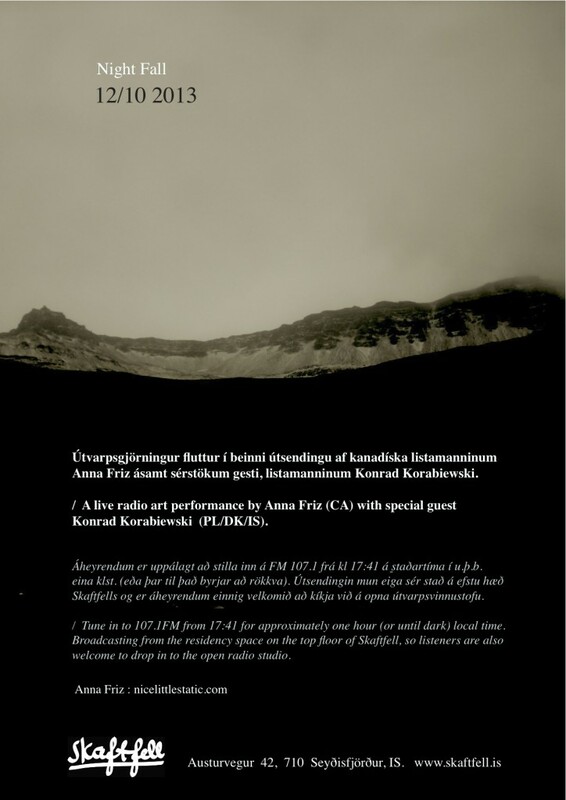 While here I’ll be working on two main projects: first an upcoming episode for Radius in Chicago entitled Radio Telegraph which will be simulcast in Chicago and here in Seydisfjördur across some days in October. Exact dates, times, and frequencies TBA. The second task is to work on the final version of The Joy Channel, a project conceived and created together with Emmanuel Madan. We will be doing the final mix in Berlin in November 2013. Seems my work here is entering a blue phase…. It’s all absurdly scenic around here.